What are the main counterarguments to this view? I am specifically looking for answers which would be convincing to an English-speaking Protestant with a high view of Scripture. Some major problems with "KJV-onlyism" lies in the assumptions it makes and some of which you enumerated. From an evangelical perspective, we accept the idea that the Bible is, indeed, the word of God. Specifically, "men spoke from God as they were carried along by the Holy Spirit." The problem starts with the third point you enumerated, specifically that the preservation is via a perfect translation, that is one for every language. Why does the preservation have to be in a translation? Why can't the preservation be in the original languages and those manuscripts? How could we know that the KJV is the perfect translation into English? The KJV was certainly not even the first translation into English, as it was preceded by the Wycliffe, Tyndale, Bishop and Douay-Rheims translations, among others. Does it follow that the first translation into any language is a perfect translation and should never be updated, no matter how much the language changes? In fact, the KJV has been changed quite a few times since it's original release. No one reads out of the 1611 edition anymore, as our language has changed significantly since that time. Also, the whole idea that there must be a preservation in each language at all times misses the point that most languages didn't have any translation until recently, and there are many that still don't. So, this assumption has a hard time fitting reality and even logic. The assumption that only one translation can be accurate in any language for all times leads the KJV-only people to assert that any other translation into English must be somehow imperfect, and many even assert that sin is the reason. The translators of the KJV must have been the holiest of men, and all other people who ever attempt to translate Greek and Hebrew into English today must somehow be sinful. That doesn't even make sense. The English language is different today than it was 400 years ago. Even if there were a perfect translation at that time, we don't speak that language anymore. Also, why must experts in Hebrew and Greek today who translate the Scriptures into English be somehow tainted by sin? Is it not possible that they could also be men and women who fear God as much or more as the translators of the KJV? There are certainly men and women today who are translating the Scriptures into new languages. Is it holy and righteous to translate into new languages, but the same people who translate into English somehow introduce sin and error? The KJV-only teaching is rife with assumptions that are just illogical. There certainly are poor translations into English. Translation is not an exact science all the time. Conveying meaning of one language into another is sometimes quite difficult. The KJV is an excellent translation, among several others. If you lived in the 1600's, there was nothing as good as that, even if you wanted to read the Apocrypha (which was in the initial printing). Today, the language of the KJV is no longer spoken. The NASB and ESV are probably two of the very best of the bunch, in my opinion. I also use the NIV. There are quite a few other allegations from the KJV only crowd. It could be interesting to address each of these in separate question. I know James Melton has a booklet entitled "How I know the KJV is the Word of God", which has some statements that are absolutely ridiculous in it. Opponents to the KJV-Only position generally don’t disparage the King James Version (KJV) or treat it as necessarily inferior to contemporary English translations, but instead point out that it faces many of the same challenges and errors that face any English translation. Depending on the opponent you ask, each will probably tell you one of any number of translations is their personal favorite, and some even prefer the KJV for its beautiful, memorable language and reverent tone, if not it’s decidedly literal-leaning and mostly non-dynamic translation. Here are some common responses to the points you listed. Virtually all of the notable opponents of the KJV-Only position who belong to mainline denominations agree that The Bible is indeed God’s word. 2. On God's Promise to Preserve His Word. They also acknowledge that God does indeed promise to preserve His word. There is some disagreement as to how this preservation is manifested, however. KJV-Only Advocates claim that God actively preserves the exact wording of Scripture through translators to produce a perfect translation of the original Greek and Hebrew into each language. Opponents hold that God merely preserves the message and meaning of Scripture, and that the language is, by necessity, somewhat fluid. They further hold that God has preserved a wealth of ancient manuscripts (totaling 972 Old Testament and 5,686 New Testament fragments and copies) for translators to work from, which is another fulfillment of His promise of preservation. 3. On Preservation of God's Word via a perfect translation (one per language). This is an assumption that opponents of the KJV-Only stance find illogical and difficult to support convincingly from scripture or any extra-biblical sources. Dr. James White (one of the most outspoken and persistent opponents of KJV-Onlyism) asserts that the discovery and analysis of the Dead Sea scrolls (including comparison to the more modern manuscripts translators and scholars had previously been working from) confirms that God did preserve His word through the millennia. He often points to the fact that no significant doctrine hinges on the textual differences that do exist between the more ancient manuscripts and those used by the translators of the original 1604-1611 King James Bible. Opponents also tend to argue that the KJV is no longer a perfect translation for modern English speakers, as it can be very difficult for modern English speakers to read, and sometimes even more difficult to derive the correct meaning from. 4. On The KJV as God's perfect, preserved translation in the English language. 5. On Contemporary English Translations being tainted by sin and error. In summary, the opponents of “KJV-Onlyism,” as White puts it, tend to argue in terms of the manuscripts, as that is the main difference between the modern English translations and the KJV. They posit that the KJV is one of many viable English translations of God’s Word, not the only infallible translation of God’s Word in English. They back this up by pointing out various translation issues and errors that the KJV faces and find that it is in no way superior to more modern translations, except possibly in terms of its rich language and its monumental importance to the development of the modern English language. They argue that, aside from its historical and linguistic significance, that it should not be treated as any more or less authoritative than any other Bible translation that is rooted in the ancient manuscripts currently available. White, James R. "The King James Only Controversy: Can You Trust Modern Translations?." (1995). Price, James D. "King James Onlyism: A New Sect." (2006). I fully believe in the Bible as the perfect word of God without any error whatsoever. I also like the KJV. However, there is no Biblical basis for believing in an inspired translation, from one language to another. This would put translators at the same level as prophets and apostles for they would need a special anointing that determines what scripture is. The belief of inerrancy is that the 'original text' was without error, but even here insignificant trace errors have crept into copies of the original texts. I think God allows this partly to keep us from being so insecure about our faith in Him. Our security should rest in Him, in the ideas he has imparted to us through His word, not each syllable. If we are so insecure, that we need to put our faith in men, we will become worshipers of ink, not of God. Translation from one language to another can be made by sinners without any inspiration. What matters is if the translation is technically honest to the original text, or no. God has not left the business of translation dependant upon the personal holiness of the translators, otherwise all translations would be fully corrupt. Besides, there is no logical basis to believe that those who translated the KJV were holier than those who have made other English translations. As God has made this warning in the last book of our Bible, and will execute it, we can be confident God is interested enough to preserve the Bible for us. Therefore we do not have to rely on one small group of people who made one single translation. Having said this, if a specific conflict arises between two translations, one must identify which is less honest to the original text, whether the weakness is in the KJV or other version, the test must be made for each instance. One cannot not just wildly assert for the whole Bible translation itself, that it is better than another. Each conflict must be argued specifically. It would not surprise me if the KJV is often the winner. The KJVO position is nonsensical. They claim that God MUST have a perfect translation in every language and that translation will not fail per that preservation. Where then, in the Hebrew or Greek, is the perfect word of God? How about the Latin? Surely the Church could have identified the perfect word of God in that respective language and with the same kind of veracity, insist on that translation to be used above all others? With so many textual variants in the original Hebrew, Aramaic, and Koine Greek manuscripts, we must either admit that God failed to preserve His word in that language OR rethink our position on what it means for God to have preserved His word for future generations. Not the answer you're looking for? 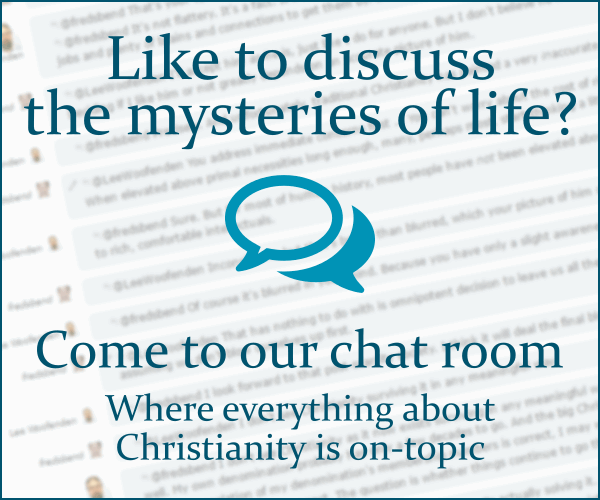 Browse other questions tagged protestantism bible-translation apologetics kjv kjv-onlyism or ask your own question. What are common criticisms against using the KJV? How do Jehovah Witnesses explain differences between NWT and Hebrew/Latin/Greek in Zechariah 12:10 and Acts 20:28? Did the early church fathers view “monogenes” as “only” or “only-begotten”? Is there an English translation of the OT, which is strictly based on the Septuagint?